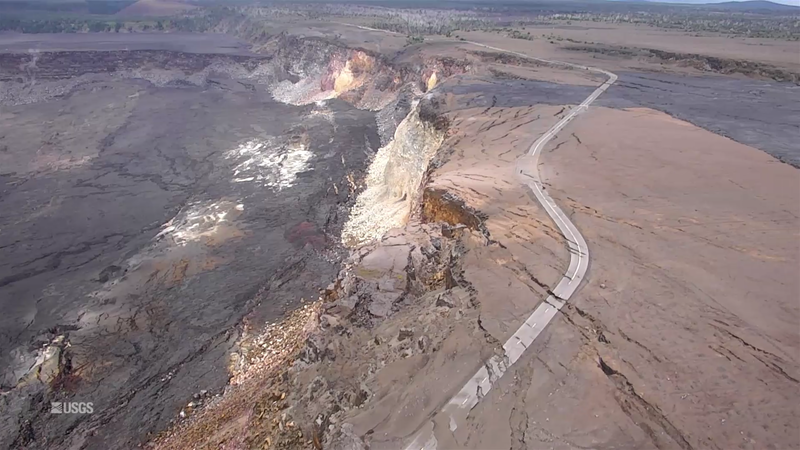 USGS field teams reported “no visible activity” at Fissure 22 or any other fissures besides 8. This is another busy news day. *used with permission. Thanks, Dad. Halemaʻumaʻu before this started: 1 km (0.6 mi) across, 85 m (~280 ft) deep. 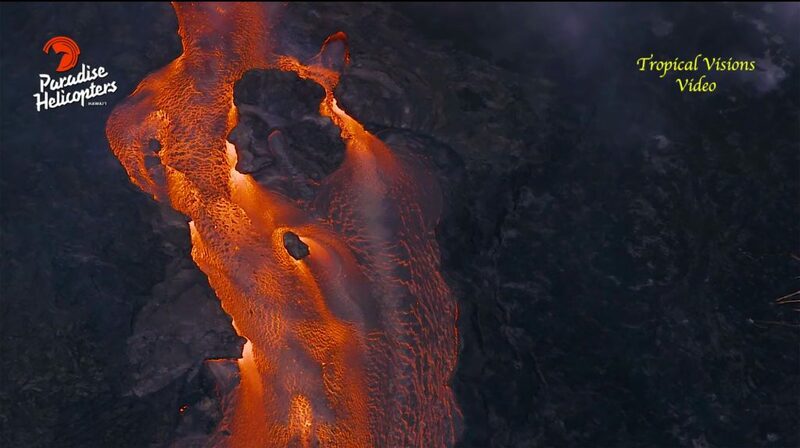 Halema’uma’u Jun 15, 2018: 1 X 1.3 km (0.6 to 0.8 mi) dimensions, 370 m (1,210 ft) deep. Yes, HVO and the Jaggar Museum have evacuated, and artwork has been moved to safety. Let me pause my science-blogging for a moment and direct your attention to a very special visitor in yesterday’s Tropical Visions overflight video. 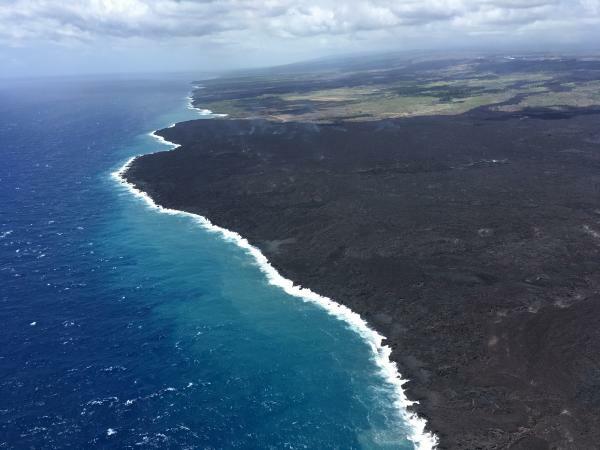 Now, how do I transition from that back to the science side of Kilauea? 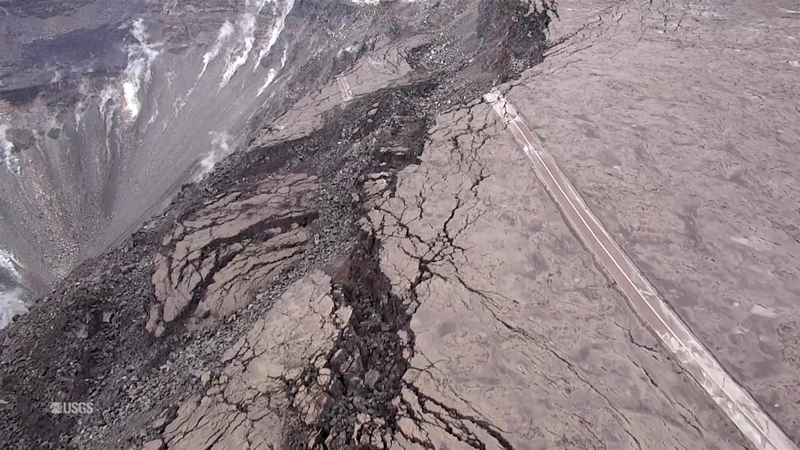 Fissures 16 and 17 continue to “ooze,” to borrow the USGS’ technical term. Today’s summit explosion (energy equivalent of M5.3, like clockwork) occurred at 3:19am HST, with an ash plume to 6,000 feet. Again, there were lots of earthquakes in the hours leading up to it, then they dropped off, and now they’re ramping back up to the next explosion. This pattern must be getting pretty old for the nearby residents of Volcano. 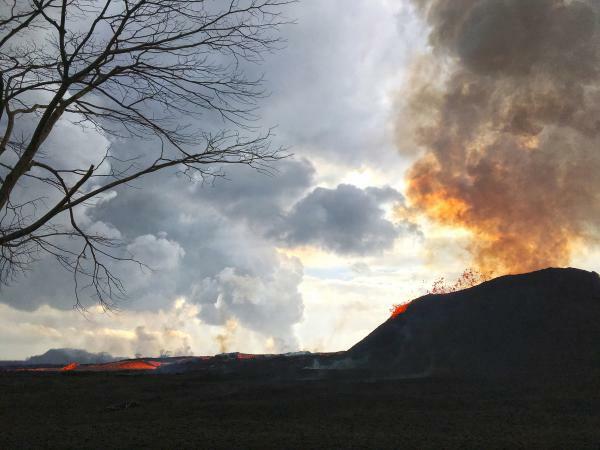 USGS info on the ongoing eruption, timelapses of recent changes at the summit, Kilauea-related news, and more stunning photos. May 17, Early Morning: Steam Explosion! 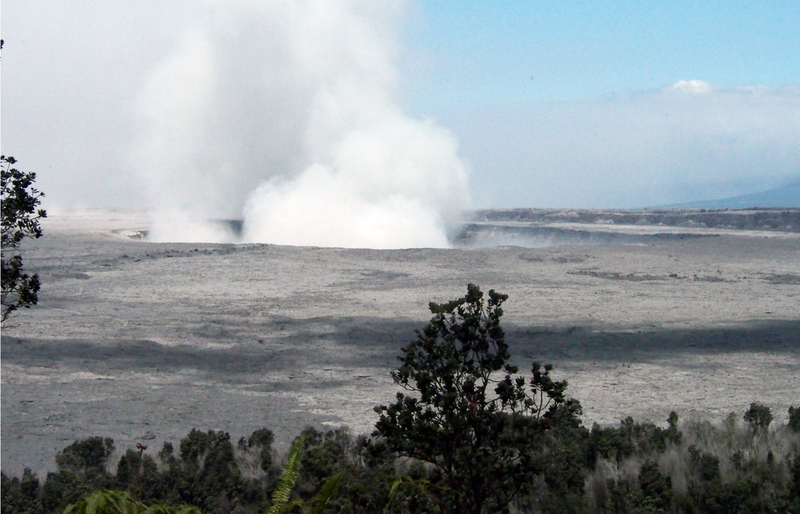 According to volcanologist Erik Klemetti, the blast threw some 1000-pound blocks, the only place I’ve seen this. See blog post (more pics). Continue reading May 17, Early Morning: Steam Explosion! 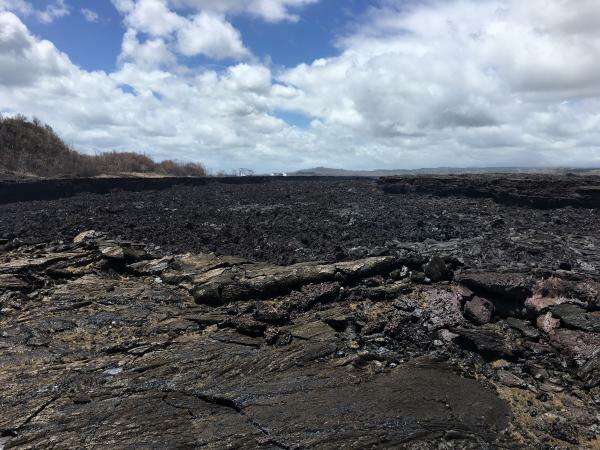 Excellent overview of lava lake, back wall and crater floor of Halema’uma’u. 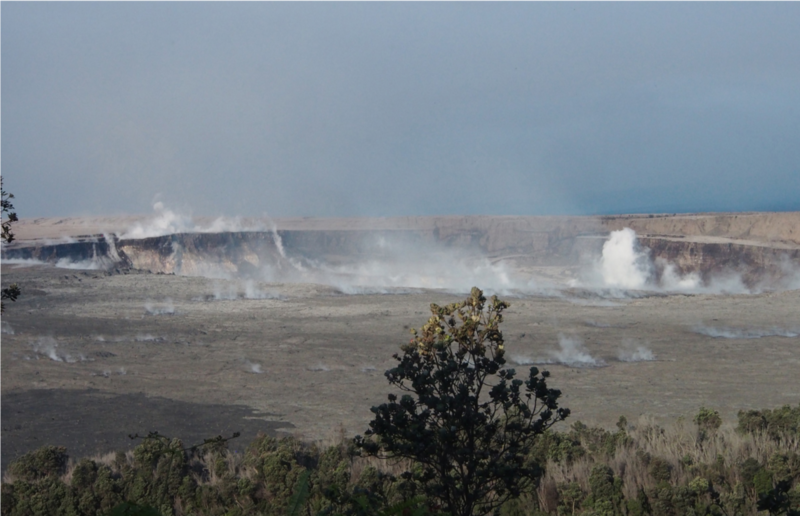 Shot from crater rim at Halema’uma’u overlook. You can see how much it overflowed in just 3 days. Taken from crater rim, Halema’uma’u overlook.